Here is a nice little exercise you may do with a training group or team to make them familiar with the solution-focused circle technique. The exercise does not have to more than 20 minutes. Invite the participant of your group to form duos. Ask them to draw two circles on a piece of paper, an inner circle and an outer circle. The inner circle represents what has already been achieved. The outer circle stands for what has yet to be achieved. Ask the couples to interview each other using the following questions. 1. What would you like to get better at? Think of a something you enjoy doing (a hobby or a sport for example) and which you would like to get better at. Please name that activity. (Suggestion for the interviewer: give the interviewee some time to think if necessary). 2. What are you are already good at? : mention and write down what can be written down in the inner circle. What have you already accomplished? What are you already good at? What is going well? (Suggestion for the interviewer: encourage the interviewee and keep asking 'what else? ', nothing is too small). 3. 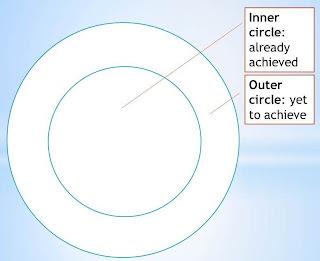 What needs to be in the outer circle? : mention and write down what you want to learn, master and/or accomplish next. What do you want to achieve? What would you like to become better at? (Suggestion for the interviewer: help the interviewee to phrase what comes in the outer circle in positive terms). 4. What is your next step forward? 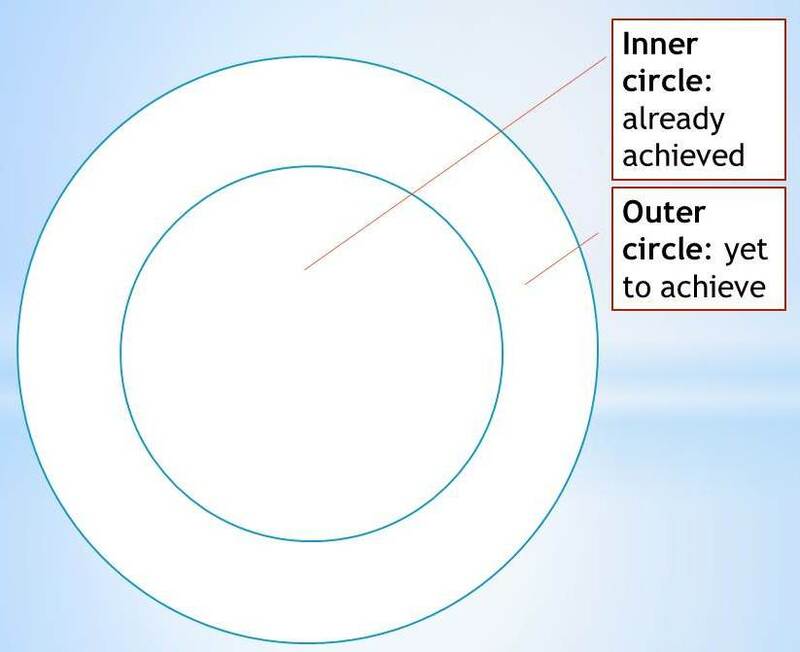 which thing from the outer circle would you like to move to the inner circle first? Think of a small step to make a start with that. "one thing we could do would be to ----"
to each partnership and get the group to consider each other's view point. When all the ideas are shared pe4ople have their own and each other's strategies to help them move. This can be a motivational and reflective exersize. Your developments in this area are always so practical and insightful! Keep up the great work and contributions. I will use with my teens in school setting. Seeing the concrete sheet helps!